….. for the procession must continue indefinitely until one of the parties stops or changes its pace. 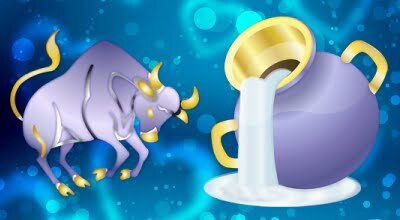 But let the human side of the Archers turn up, and Taurus is puzzled and annoyed. 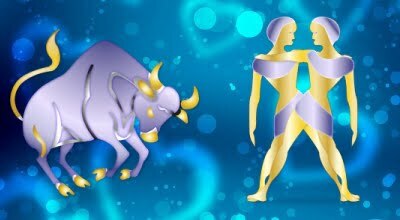 As the Bulls watch the Sagittarians playing the roles of serious idealists, fighting fiercely in the courtroom, the classroom, on a television screen, or on a political platform, they’re uncertain whether to cheer them – or fear them. The Jupiter dedication of the moment may take Sagittarians into a raging battle against the establishment, which will usually be abrasive to the more con-servative Taurean nature, causing the Bulls to draw back in surprise and ask themselves, “Who is this strange creature, riding around like a drunken dreamer, tilting at the sturdy, solid windmills of society?” An awkward, yet also sometimes graceful, racehorse may be quite likable and good for some belly laughs, but a careless idealist who is threatening to tear holes in the fabric of comfortable custom can be downright dangerous. 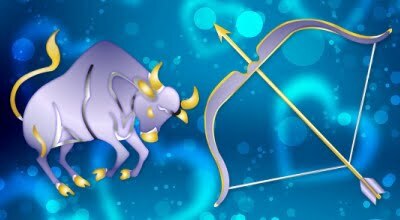 Taurus can’t figure out how to deal sensibly with a Sagittarian, who’s aroused to a high pitch of recklessness by a cause (preferably a lost one, because they give you a bigger glow within when you win them – and being lucky, the Archers nearly always win). 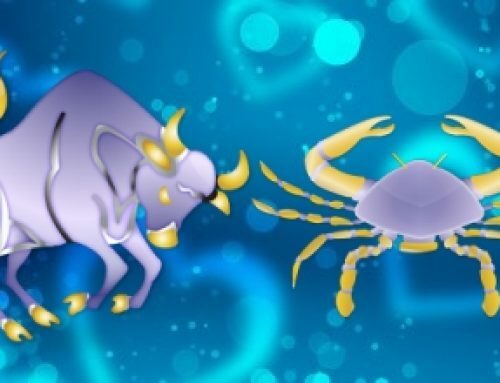 Every Sag (including the extroverted and the introverted ones) is at heart a bright-eyed, bushy-tailed optimist, who inwardly believes that everything will come out in the wash, then cries great, dramatic tears when it doesn’t – which serves him (or her) right for expecting too much out of Life, as far as Taurus is concerned. 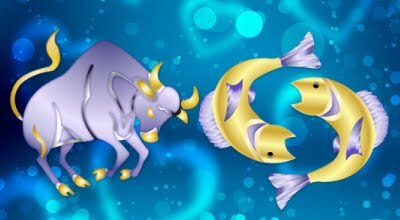 The Bulls are clear-eyed, smooth-tailed pessimists, who never expect any-thing to come out in the wash – so when they lose a couple of socks at the laun-dermat, it serves them right for constantly imaging negative possibilities, as far as Sagittarius is concerned. 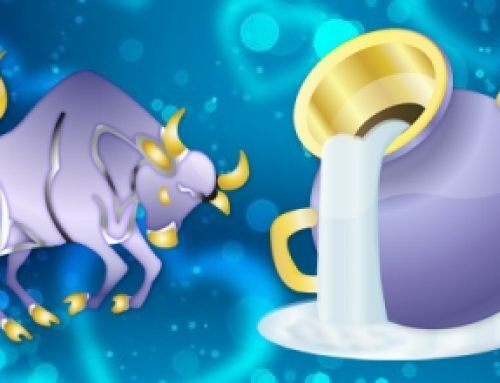 Sag has no patience with Taureans who go glooming around, spreading inky moods. The Sagittarian man, woman or child’s own tears may be very damp and profuse, but they dry quickly when the eternal Jupiter rainbow comes out to drape itself around their shoulders and bathe them in hopeful colors again. This is a 6-8 Sun Sign Pattern, emphasizing service, health and all manner of mystery. 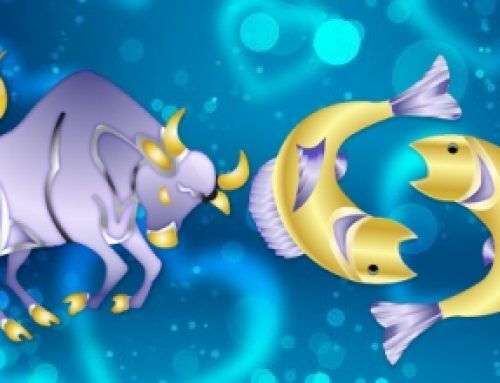 Because Sagittarius represents “other people’s money” to Taurus (among other 8th “house” influences, which are different with each individual Sun Sign association between these two) the Archers may be the ones to raise the funds for Taureans to realize their huge endeavors. 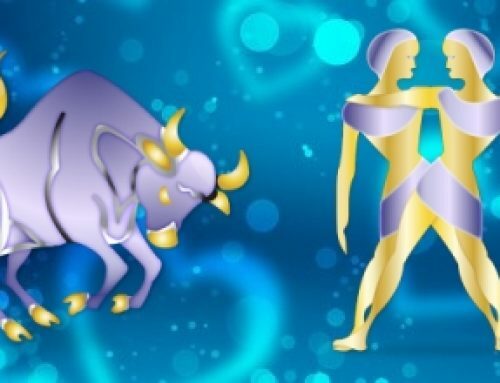 Because Taurus represents the 6th astrological “house” of work, duty and service to Sag, these two are not infrequently found associated in some mutual undertaking that blends the Jupiter flair for promotion and salesmanship with the Taurean ability to build a solid foundation (which is of great value, when the Archers ride the rear end of their Centaur symbol, and fall flat on their hopes). The Bulls admire the exciting pictures the Archers create, but they become restless and suspicious when Sag slaps on the paint with strokes that are too broad, and colors that are too garish for the practical Taurean taste. Sagittarian people sail around, goofing and stumbling a lot, but they’re as likely to stumble on a piece of pure, unadulterated luck, as they are to fall head first into an open sewer. The former accident is due to their marvelous faith, courage and optimism – the latter, to their obstructed line of vision. Your chances of falling into a hole naturally increase when you’re gazing at the sky, shooting arrows into the future, and not looking where you’re skipping. 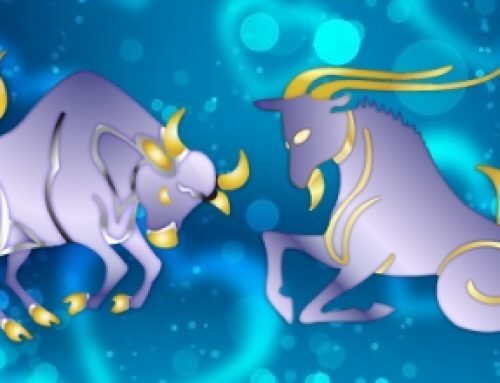 Normally, Taurus remains close to family ties. 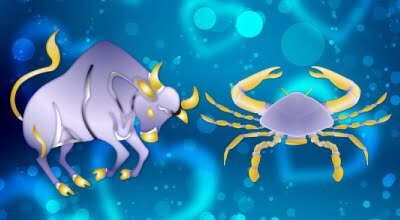 A Bull will sacrifice much for his (or her) loved ones, and bear up under a bushel of trouble for them. Sagittarians are also willing to offer a helping hand and a cheery word to their relatives – from a distance. The typical Archers and their families don’t live in one another’s pockets. Sag is more interested in the good of humanity as a whole than in lavishing excessive attention on blood lines. That’s for horses, isn’t it? Yes, and also for the half-horse Centaurs, if they’d give their relatives half a chance. 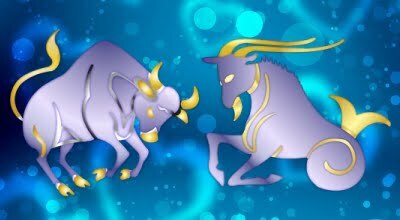 Both of these Sun Signs can spot a hypocrite or a phony a mile away, and neither of them is inclined to tell a lie to save face, or merely to be courteous. The Bulls ordinarily will state the truth of the matter as they see it, fmnly and clearly. Should they think it might truly wound someone, however, they’ll clam up and not speak at all, rather than stir up unnecessary unpleasantness, if the issue is not an urgent one. The Archer has no such reluctance. All Sagittarians shine with a certain kind of honesty – a brutal kind. The truth sometimes hurts, but the Archers are blissfully unaware of this, when their indignations are flashing. It’s useless to expect these people to stifle their Jupiter integrity, but they might try diluting it a bit.